Do you know what due process is and what rights you have? You can find out with this amazing and helpful DVD! One of the most important things in the United States Criminal Justice System is the right to due process but sadly very few people in the United States knows what it means. Do you know what due process is and what rights you have? You can find out with this amazing and helpful DVD that covers many common scenarios and situations people can find themselves in. A film from Humanities & Sciences/MotionMasters Coproduction, the citizen and the criminology student can learn about due process and what law enforcement can and cannot do in their investigation. 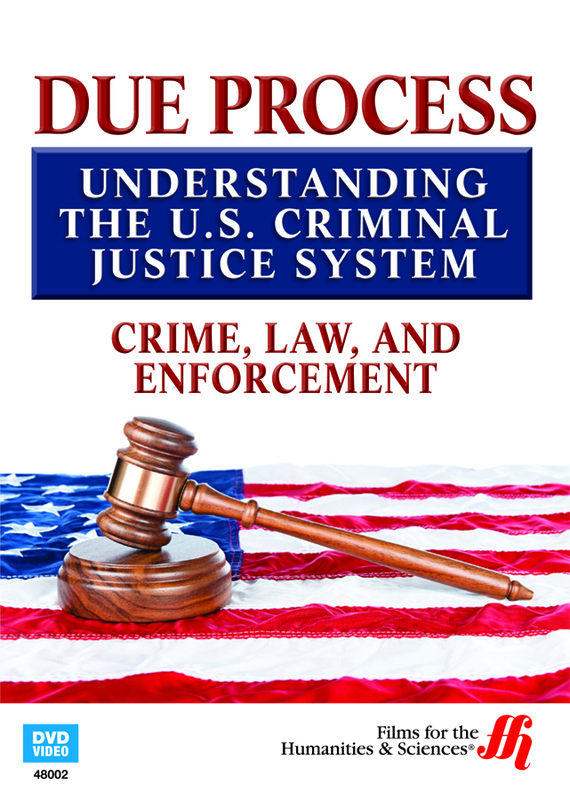 The citizen and the criminology student can learn about due process and what law enforcement can and cannot do in their investigation. It is a study that everyone should be familiar with. Introduction: Crime, Law and Enforcement � When government and society identify conduct that is dangerous, it is a crime. Punishment can occur through different methods such as community service, prison time, and fines. Laws that are put into place by the state, local and federal government provide a set of rules for society in order to maintain order. Crime in the U.S. � The source for the laws of state, local and federal criminal justice system is the Constitution. It provides an objective set of guidelines for maintaining the rule of law and controlling the conduct of the population. It also ensures confidence in the criminal justice system. Types of Crimes � There are different types of crimes including felonies, misdemeanors, and infractions. Crimes can occur against society, people or property. States separate murder into second or first degrees, and manslaughter can be either involuntary or voluntary. Police Questioning and Interrogation � Officers responding to a crime scene try to determine what crime was committed, they gather evidence, and they receive statements from any witnesses at the scene. The Constitution�s Fifth Amendment protects the rights of anyone accused of a crime to remain silent.